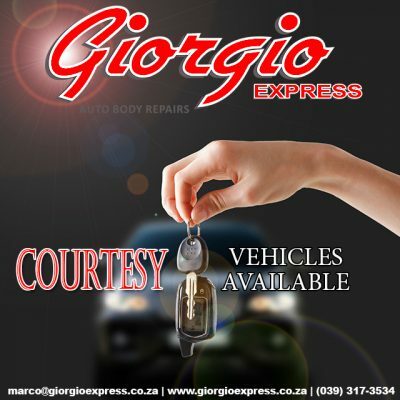 At Giorgio Express Auto Body Repairs courtesy vehicles are available for your convenience. Not having your car can be a huge inconvenience, we all have been there! At Giorgio Express Auto Body Repairs we understand this. One of our core beliefs is that our clients should experience the utmost convenience from start to finish when dealing with us. That is why the option of having a courtesy vehicle is extended to our clients.